In the Know? Or in the No? Change in the digital economy is inevitable, but KPMG’s future of HR global study reveals conflicting approaches today’s HR leaders are taking to the paradigm shift that’s redefining business and HR models in every industry. Forward-looking HR leaders are confidently harnessing the resources and insights that will redefine the traditional HR model and its contribution to the enterprise. They are boldly following strategic plans and implementing new technologies such as analytics, digital labor and artificial intelligence. And they are pursuing the critical new skills needed to succeed in the digital age. There is wide disagreement on the workforce impact of AI within the c-suite. Sixty percent of HR leaders believe AI will eliminate more jobs than it creates. In contrast, 62 percent of CEOs believe AI will create more jobs. Among those who have invested in AI to date, 88 percent call the investment worthwhile. Learning (35 percent) and analytics (33 percent) are the primary focus. To achieve digital transformation respondents agree workplace culture is a key ingredient, but many find this to be a top barrier (41 percent). Thirty five percent said their current culture is more task oriented rather than innovative or experimental. Explore the survey results our infographic, reports and video below. Are you in the Know? Or in the No? KPMG's survey of HR leaders reveals a gulf between action and inertia in the digital era. Learn about HR leaders' readiness for implementing new technologies such as analytics, digital labor and artificial intelligence, and about their views on workplace culture and employee experience. Is your HR organization future ready? KPMG’s Webcast discussed the findings of our Future of HR survey and the implications for your organization. HR leaders tell us that creating a new employee experience (EX) – or defining the right employee value propositions (EVP) to match the needs of five generations in the workforce – still seem to be undervalued by senior management. While 50 percent of HR leaders strongly believe EX is valuable to the organization at large, only 25 percent rank EX as a top initiative for the next year or two. And this is likely because only 16 percent of their senior management have communicated that EX should be a top focus area for HR. The prevailing lack of focus on EVP may be explained by the simple fact that EVP remains misunderstood by the broader organization. According to KPMG’s 2018 CEO Outlook study, for example, almost half of the CEOs surveyed still struggle with understanding how millennials differ from other generations. Encouragingly, interest appears to be growing – at least among some CEOs, with 38 percent acknowledging the need to reposition their business to better meet the needs of millennials. Forward-looking organizations are already sharply focused on the employee experience and managing multiple generations of diverse workers. And ideally, the trend toward increased C-suite focus on the people agenda will continue. Learn more about the future of employee experience. Workplace culture remains a top barrier to digital transformation for about 4 in 10 HR leaders – with more than a third saying their current culture remains task-oriented rather than innovative. Half (51%) denote capability and 43% capacity a top barrier to moving these efforts to scale. 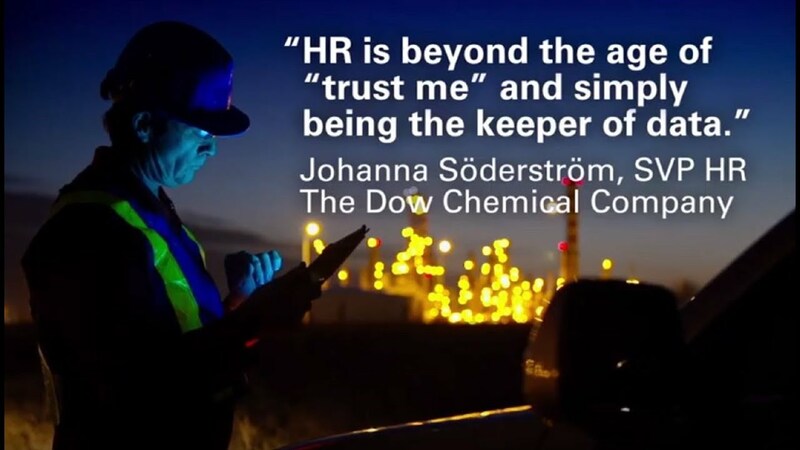 In today’s digital world with its myriad of complex people challenges, HR needs to be seen as a function that is taking the lead on understanding what makes people tick and what culture helps people and organizations thrive so that we create places of work that are true augmentation of human capability with technology. Learn more about the future of culture. Forty-two percent of HR leaders agreed artificial intelligence (AI) and machine learning (ML) integration are among the biggest transformation challenges they will face in the next five years. But among organizations yet to adopt AI within HR, half remain uncertain that they will do so in the next year or two. A troubling 50 percent admit to being “not at all prepared” to respond strategically as AI and ML emerge; barely a third feel “somewhat prepared.” Fewer than 1 in 10 feel “prepared” or “very prepared” for changes to come. Among those investing in AI to date, the vast majority — 88 percent — called the investment worthwhile, with their focus primarily on learning (35 percent) and analytics (33 percent). Learn more about the future of enabling technology. > Find more survey highlights and trends on the KPMG global website.